Ex-quis-ite adj. Extremely beautiful and, typically, delicate. El-e-gant adj. 1. Pleasingly graceful and stylish in appearance or manner. 2. Pleasingly ingenious and simple. Au-to-di-dact n. A self-taught person. 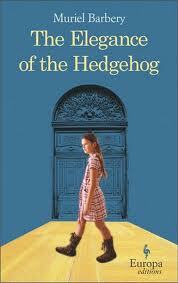 ‘The Elegance of the Hedgehog’, translated from the French, is simply exquisite. The writing is so, so beautiful. It is human and real, so full of good humour and wit, capturing simultaneously both the simple and the profound. What a pleasure to read. Barbery is a philosopher with insight into so much. Breathtaking phrases, like this of drinking a cup of tea, are typical in the book. The story line from the flyleaf is also so well written, I won’t try to improve on it. “We are in an elegant hôtel particulier in the centre of Paris. Renée, the building’s concierge, is short, ugly, and plump. She has bunions on her feet. She is cantankerous and addicted to television soaps. Her only genuine attachment is to her cat, Leo. In short, she is everything society expects from a concierge at a bourgeois building in a posh Parisian neighbourhood. But Renée has a secret: she is a ferocious autodidact who furtively devours art, philosophy, music, and Japanese culture. With biting humour she scrutinizes the lives of the building’s tenants – her inferiors in every way except that of material wealth. Then there’s Paloma, a super-smart twelve-year-old and the youngest daughter of the Josses, who live on the fifth floor. Talented, precocious and startlingly lucid, she has come to terms with life’s seeming futility and has decided to end her own on the day of her thirteenth birthday. Until then she will continue hiding her extraordinary intelligence behind a mask of mediocrity, acting the part of an average pre-teen high on pop subculture, a good but not an outstanding student, an obedient if obstinate daughter. This entry was posted in Fiction, Five Star and tagged Elegance of the Hedgehog, Muriel Barbery. Bookmark the permalink. Wow, this sounds really good!! Sounds like a book I would really enjoy 🙂 . Should pick it up when I have a chance. I know the 5-star rating is not easily earned. Thanks mom! 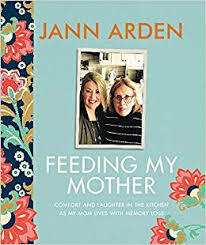 Glad you enjoyed it so much – it is currently one of my all time favourites; it’s one of the few books I’ve read twice and am going to read for a third time, because there’s so much there to enjoy and savour! This is the best book I’ve read in recent memory. By far. What a lovely book! It was this months selection for our book club and I enjoyed it even more the second time. One of my favorites.